Rookie Kristaps Porzingis of the New York Knicks is definitely making noise right now, but he's not at the level yet where he's earned the right to player exclusive Nike sneakers. That doesn't matter though – he's making his own instead. 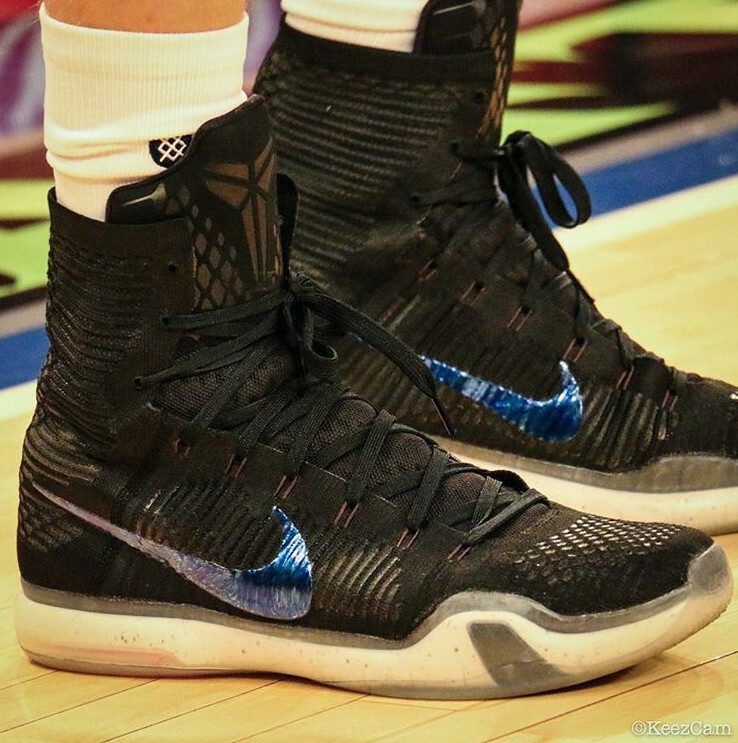 In a move echoing Penny Hardaway's infamous "Sharpie" Foamposite custom, it looks like Porzingis took a marker to a retail colorway of the Nike Kobe 10 Elite he wore last night to give it some Knickerbocker blue. Of course, he could customize any number of Nike Basketball sneakers with Knicks colors using NIKEiD, but the Nike Kobe 10 Elite isn't available on the platform, so he didn't really have that option here. Perhaps one day Porzingis will convince the people at Nike that he's worth some PEs, but until then his DIY approach will have to do.